What to get for the kid who's got everything? What to get for the kid who's got everything? 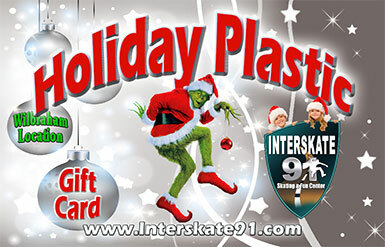 An Interskate 91 Family Fun Center Holiday Plastic Gift Card. Give the gift of a Fun! Use the card for Roller Skating Admission, Laser Tag, Arcade Games, The Stuff Shop & The Perky's Food & Fuel. The full entertainment experience at the best place around. Buy today, use any time! Once you purchase your card it will be mailed right to you!